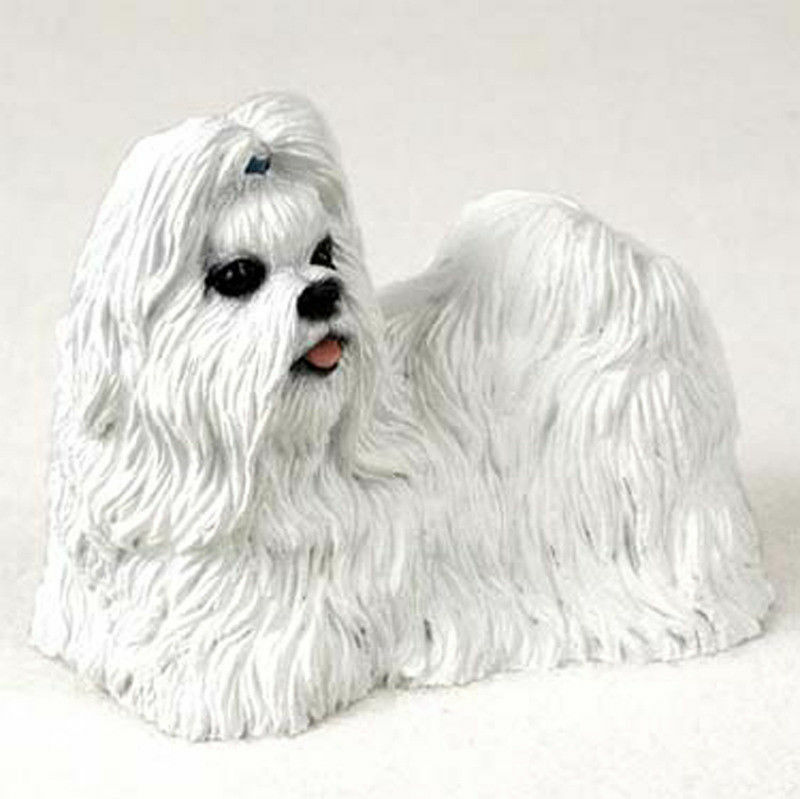 Our Shih Tzu figurines are among the cutest that we sell here at DogLoverStore. The sport cut, which also goes by the name puppy cut, sport clip, or puppy clip, makes the Shih Tzu figurine even cuter! The Shih Tzu is often seen with long hair, but this doesn’t always allow you to see some of the cutest characteristics of this breed. The Shih Tzu has a small frame with short legs and a petite face. 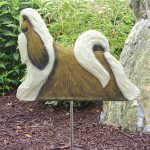 The puppy cut style allows you to see the tail curled over onto the rear, the small black nose, and round head. 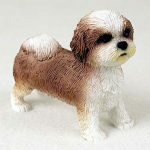 This figurine’s coloring is a beautiful combination of brownish tan and white. White can be found on the legs, the chest, the forehead, and the tail. The muzzle is mostly white with tints of yellow around the mouth. The body of the dog is a blend of tan and brown. Stands on all four paws in a square stance to show the breed’s loving and playful nature. This figurine is perfect for any Shih Tzu lover to display their love. These figurines are the ideal size for large doll houses. 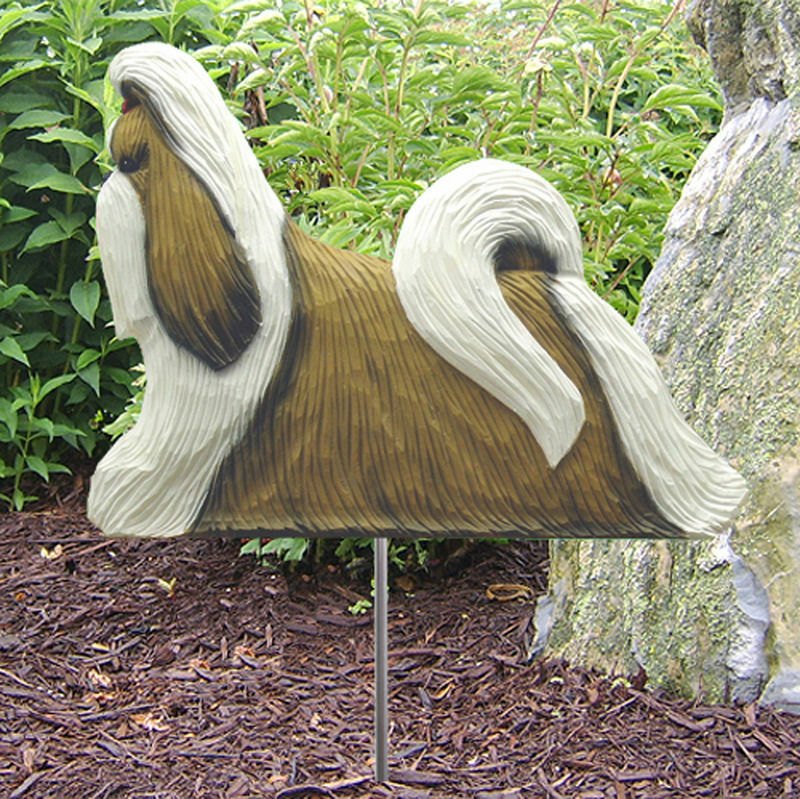 They also make great accent pieces for you to add onto memorials and urns.